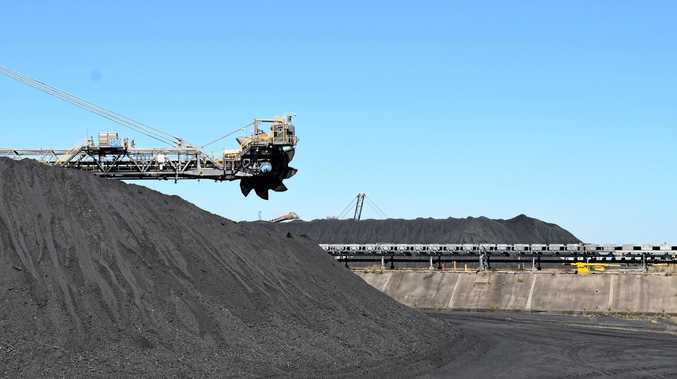 THE Queensland Resources Council (QRC) insists the State Government needs to stand up for the resources sector and acknowledge coal's fiscal value to the state budget. QRC chief executive Ian Macfarlane said the Mid-Year Financial Economic Review (MYFER) showed that resources, especially coal, underpinned the state budget. "Coal royalties are expected to reach $414million above the 2017-18 budget forecast or $3.16billion forecast over the financial year," he said. "Revenues from all resources, including coal, gas and metals, not only pay the wages of teachers, nurses and police, they build the schools, hospitals and police stations. "The extra coal royalties alone would pay for the North Queensland Stadium ($250million), four schools and three police stations in the regions. "When the resources sector is doing well, the entire Queensland economy benefits." Mr McFarlane said in the last financial year the sector generated $55.1billion in economic prosperity for the state using 0.1 per cent of Queensland's land mass. The Australian minerals industry paid $165billion in federal company tax and state and territory royalties in the decade to 2014-15, and the mining sector contributed 19 per cent of all corporate tax collected in 2014-15. Source: Qld Mining and Energy Bulletin.